Award winning director Shyamaprasad's, Rithu Seasons Change. Do We? is scheduled to hit the theatres this Friday. 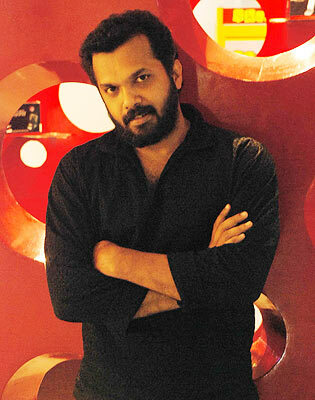 Joshua Newtonn, a journalist for nearly a decade and a half is the scriptwriter of the Malayalam film. Paresh C Palicha finds out more. You are the latest in the league of journalists to turn scriptwriter. How did this transformation happen? Does journalism help a person to be a good story teller or a scriptwriter? I can't escape the eternal tag of a journalist. The transformation from being a journalist to a creative writer is a classic route laden through the histories of wannabe-writers around the world. Journalism helps you to get in touch with raw realities of life. It exposes you to the muck and the marvels of life. Fortunately, most of those things that you come to know in your profession are hidden from the public. That gives you an edge, a qualification to try and dig deeper. Journalism gives you the keys to get into people's lives. Fiction gives you the tools to showcase what I discover. I guess it's quite an effective alchemy in the making of a writer. After watching Akale, Shyamaprasad was my obvious choice when I wanted to gift a copy of the DVD of my short film called Beyond back in 2005. Soon after, I got an e-mail from him asking if I'm interested in writing a film for him. When I said yes, he said he wanted a film on IT professionals. The story thread I suggested evolved within me in these two years. Shyamaprasad used a method of 'nethi, nethi', when he used to say 'no' to certain things. And soon he began to say 'aye, aye' to most of it, that was how the story evolved. The tale of Ritu is about three childhood friends who grow up quite different from what they made each other believe in. It's about the fun, frolic, and the pain delivered by a season of life that allows good friends to be cold-hearted to each other. It's about how seasons change in our lives and how they change us even without our knowing. Prithviraj and other mainstream actors were the first choice. Now the cast is new. Was there need to change the script to accommodate newcomers? Not at all. Actor Prithviraj was one of the choices in the earlier stages of the production. Even when I write, I stay clear of such ridiculous ideas of visualising these actor's faces within my story. Shyamaprasad finally chose to cast fresh faces to do justice to the fresher result we were expecting from the theme. I'd say that it was the wisest decision about Ritu. What do you look forward to as the ideal result of Ritu? I'm glad about the way Ritu has come out. Shyamaprasad has proved once again that he is capable of delivering in the idiom of the present. Shamdutt's cinematography is something that is more candid than the usual conformist stuff you get to today. He has made terrific use of hand-held shots which lend an informal nature to the film. Rahulraj's music, I'd say, is the best that has come out of his oeuvre so far. I hope Ritu launches a season of faith in the new filmmakers and the old, that finally restores the trust in a film with the content of the story, and not in one that piggybacks on actors or the glitz.